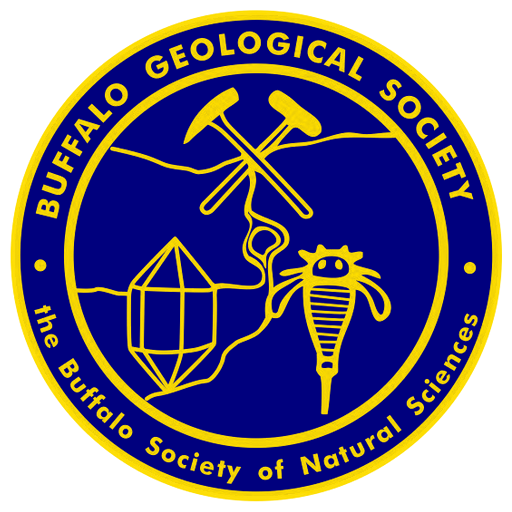 BGS Monthly Meeting – October 5th – Buffalo Geological Society Inc.
Our October monthly meeting will feature guest speaker and longtime member of the Buffalo Geological Society Dr. Rick Batt. The topic is Geomorphology of Alaska: Nine Years Later. Our featured speaker for the month of October is Dr. Rick Batt retired college professor, world traveler and longtime member of the Buffalo Geological Society. He will be telling us about a recent 46 day road trip through the breathtaking scenery of our 49th state Alaska. In this presentation you will get to experience southeastern Alaska and the Kenai Peninsula. There will be spectacular views of the Cook Inlet, retreating glaciers and even active volcanoes. Aerial photos from a flight through the heart of the state will showcase views of the Arctic Ocean and there will even be a series of photos taken from a small airplane as it maneuvered around the slopes of Mount Denali the highest peak in North America with an elevation of 20,310 feet. Alaska, our largest state, is a vast, rugged land featuring a diverse and spectacular array of scenic vistas. It is a landscape that has evolved as result of geological processes that have spanned tens of millions of years. Beginning with the Cretaceous Period most of this region of North America was assembled piece by piece as many smaller masses of continental crust coalesced over time. It is a process that still continues. Today, Alaska is a diverse landscape with rolling lowlands and plains that give rise to high mountains and active volcanoes. Alaska spans several degrees of latitude and as such it supports a biodiverse array of unique habitats and communities ranging from cool temperate rain forests in the southeast to the almost inhospitable Arctic tundra on the North Slope. Originally from western New York State, Rick earned his B.A. in geology at SUNY Buffalo before moving west to complete his Master’s degree at the University of Wyoming in Laramie and his Doctorate at the University of Colorado in Boulder. His doctoral training focused on paleontology and stratigraphy. He also earned a second Master’s degree in hydrogeology from the Western Michigan University in Kalamazoo. For more than 25 years Rick taught a wide variety of geology courses at Buffalo State College. As a member of the Buffalo Geological Society, he served for several years as Geoletter editor and presented numerous talks on a variety of geologic topics adding greatly to the intellectual prowess of our membership. Rick and his wife Robin are now retired residing full in southwestern Florida where they continue to pursue a variety of interests often traveling to new places as well as some of those they enjoyed in the past. The meeting will be held on Friday, October 5th at 7:30pm at the Heritage Discovery Center, 100 Lee Street, Buffalo, NY 14210.